It is hard to believe that school will be starting soon. I don’t know why it happens, but the days of summer fly by and the days of the school year move like a snail! It is always a good idea to get kids thinking about school ahead of time. 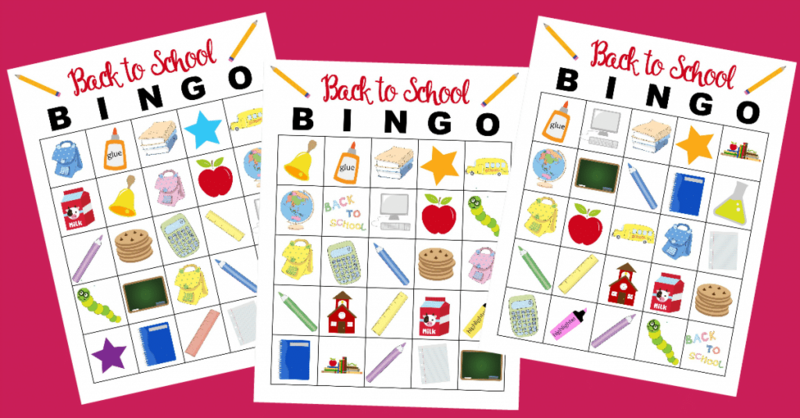 One fun way to make going back to school fun is to play a game of Back to School Bingo! Every year is different as to which of my children are excited to go back to school and which ones are NOT. I usually have one on each side of that fence. As we get closer to back to school we get ready to fill out our first day of school worksheet and try to figure out creative ways to take first day of school photos. Then we have some real fun playing bingo! One thing my kids always agree on is they like to WIN prizes! Even tiny prizes are coveted. That definitely makes my job a little easier. 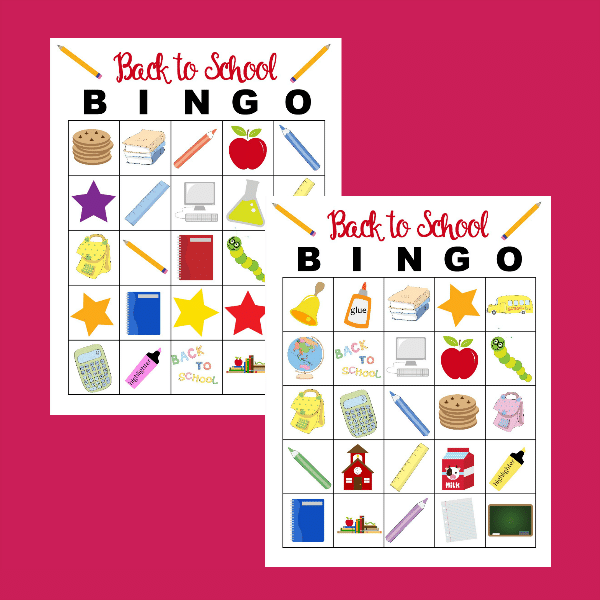 Playing a game of back to school bingo will be competitive at my house and a lot of fun. It is a wonderful way to keep the children entertained during those last days of summer when they are BORED. My favorite way to get my kids really excited for school is SCHOOL SUPPLIES. School supplies make a great prize for back to school bingo! My children enjoy special and colorful school supplies. The old boring yellow pencils don’t get kids jumping for joy. Here are some exciting school supplies that would make great prizes. It is a win-win because the kids love the prizes and these are things they can use at school. Superhero erasers will be a hit with boys and girls and this pack of 24 gives you a lot of prizes! Who wouldn’t love a cute emoji pencil top eraser? This pack of 18 will keep your kids laughing. Okay, I know I seem to be on a kick with the superhero theme…but these superhero bookmarks are too adorable to pass up! Who doesn’t enjoy sniffing a scented stackable pencil? I certainly do and I think my kids will love it too. 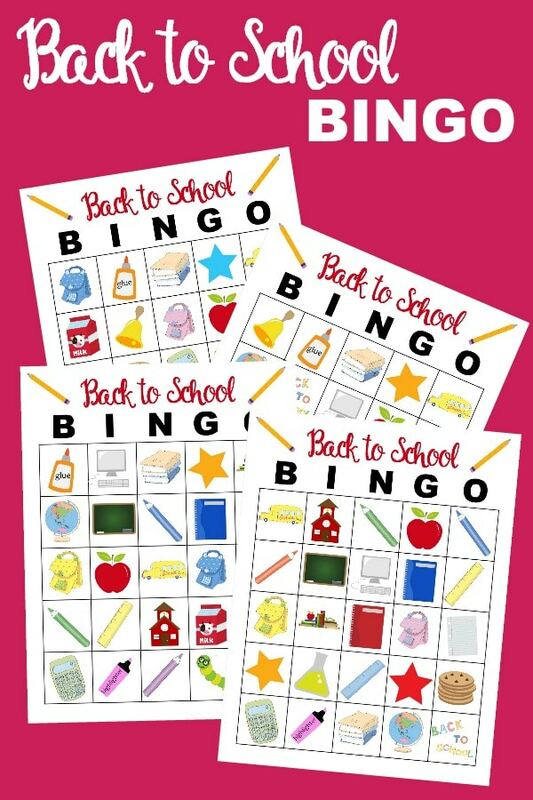 There are six different back to school bingo cards for your family to play on. I have also included an image key with all the images used on the cards. I use the image keys to draw with and I can also show the kids what the image is they are looking for. Printing these off on white cardstock makes them last longer and I may even laminate Back to School Bingo cards so we can use them over and over again. I hope you are organized and ready for this coming school year. It helps to take a lot of stress off if I plan ahead of time. A little back to school preparation goes a long way to having a calm first day! After we play bingo I love to go over some school safety tips with my kids and then print off the color pages they can work on. How do you prepare for back to school? Do you like to play games, shop or just wait till the last minute? Let me know!